Disruptions to fish migration and food supplies for millions in the Mekong basin are likely if the first mainstream dam on the lower Mekong is allowed to go ahead, WWF predicted as it released expert analysis showing the dam feasibility study and environmental impact assessment failed to address key environmental risks. Bangkok, Thailand: Disruptions to fish migration and food supplies for millions in the Mekong basin are likely if the first mainstream dam on the lower Mekong is allowed to go ahead, WWF predicted as it released expert analysis showing the dam feasibility study and environmental impact assessment failed to address key environmental risks. The WWF commissioned review – coordinated by the WorldFish Centre with participation from the United Nations Food and Agriculture Organisation (FAO) found that the Environmental Impact Assessment (EIA) for the proposed Xayaburi dam in Laos and assessment were woefully inadequate and fell well below international standards for such studies. Xayaburi is the first of 11 dams proposed for the lower Mekong mainstem. Lower Mekong countries are scheduled to decide on whether the dam project can move ahead on April 22. The review found that the EIA ignored published studies and relied heavily on “a very light field sampling” that captured “less than a third” of the biodiversity in the impact area. Just five migratory species from a list compiled in 1994 were mentioned and just three of more than 28 studies of Mekong fish migration were referenced. 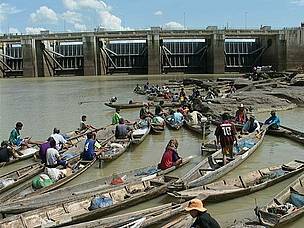 In contrast, current studies show that 229 fish species exploit habitats upstream of the dam site for spawning or dry season refuges, with 70 classified as migratory. The review finds the proposed fish passes for the dam ignore design guidelines, lack critical detail including any specification of target species and have a slope and steps which would be challenging even for salmon – not a Mekong species. Among the species threatened is the Mekong’s famed giant catfish with only known spawning areas in the upper Mekong between Chiang Rai province (Thailand) and Bokeo (Laos). While the Mekong Giant Catfish is symbolic and culturally important, smaller fish like the Pa Soi are important food sources for villagers in the Mekong River. "How can you devise mitigation measures for fish passage without addressing the biology and the needs of target species, which in this case range from a small Siamese Mud Carp or Pa Soi to a 3 metre long giant catfish," said Dr Jian-hua Meng, WWF International Sustainable Hydropower Specialist. 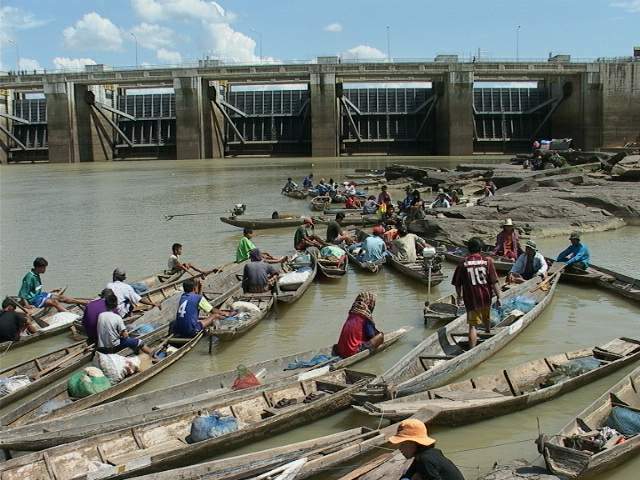 The review noted other studies that concluded that fish passes are not a realistic mitigation option for Mekong mainstream dams, and “that the Mekong should never be used as a test case” for proving or improving fish passages technologies. WWF fears a much larger scale repeat of the environmental damage of the dam on the Mun River in Thailand, a key Mekong tributary. After similar bland assurances of only low level impacts on fisheries prior to construction, the first d ecade of the dam’s operation saw damaging impacts on 85 per cent of fish species present before the dam’s construction, with 56 species disappearing entirely and reduced catches for a further 169 species, according to a World Commission on Dams study. Consultations on the Xayaburi dam have so far had to proceed in the absence of much detail on the project, with the abbreviated Feasibility Study dated 2008 but made available only in February this year which was prepared by Thai group TEAM Consulting and Swiss company AF-Colenco and the final EIA by TEAM completed in August 2010 but made available only in March 2011. WWF was unsuccessful in attempts to brief the consultants on the risks posed by the project. WWF supports a 10-year delay in the approval of lower Mekong mainstream dams, including the Xayaburi hydropower dam, to ensure a comprehensive understanding of all the impacts of their construction and operation, while immediate needs are met with less challenging projects applying state of the art sustainable hydropower solutions are fast tracked on selected tributaries. Boats at Pak Mun Dam in Thailand.